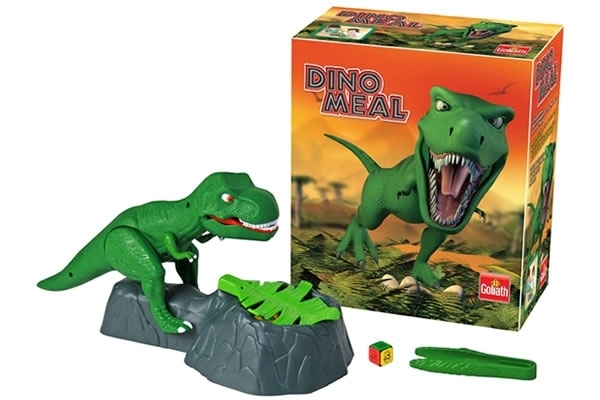 It’s a simple game: This hungry Dino has stolen another dinosaur’s eggs. Roll the die to choose which egg to rescue first, then carefully reach in and take out the egg but watch out. You never know when this intimidating Dino might leap out at you. Win the game by rescuing the eggs before the Dino gets you. Takes 2 AA batteries (not included). Tags: board, egg, game, meal, rescue.